Using an overly formal tone in the translation of an informed consent form may prevent a patient from understanding what he or she is consenting to. Your company’s reputation and profits, as you are responsible for the contents. Presentation deadlines and the possibilities of acceptance by local authorities. The final cost of your projects. “Our institution has worked several times with Okodia, and we have always been very happy with their effectiveness, work and delivery times, information and feedback, as well as with their prices and invoicing. We also think that their drive towards improvement and proactiveness make Okodia a highly reliable company, which we will certainly work with in the future”. If you work in research, you will know that clinical research is crucial for the medical, pharmaceutical and veterinary industries. Without this work, the other life sciences sectors would be unable to make the financial profits required to achieve a key strategic position. Companies and organisations in different countries – including emerging countries – invest billions of euros every year in research for new drugs and healthcare products. This strong international investment requires high-quality translations. Something that can only be provided by an established company with direct, verifiable experience in the world of healthcare and in medical translation. Okomeds provides accurate translations that comply with all the technical, terminological and quality standards required by the various healthcare agencies, such as the AMD, FDA, MHLW, PMDA, SFDA, etc. Viability studies, clinical biostatistics, analytical services, patient recruitment, development of healthcare products… You have an endless list of professional commitments, and the number of documents generated by your organisation on a daily basis is also huge. These highly specialised documents require an advanced, comprehensive, fast and effective multilingual response. As a CRO you are subjected to stringent quality standards. As an Okomeds client, you will get the high quality demanded by your international clients. Simply put: Okomeds is the perfect partner that will help you to implement your internationalisation process in a profitable way. A team of specialised native translators with years of solid experience. A team of certified translators and proofreaders. Professional support from a team of doctors, pharmacists and biomedical engineers specialised in your field. You want to obtain licences in different countries in the world, in the local language, as required by the local authorities. Your labels, prospectuses, containers, trials, patents, production manuals, information and advertising documents, etc. must be correctly translated into the languages spoken in your new market. Your documents must comply with EUDRA, EMEA, FDA, MHRA, TPD, MHLW, guidelines, etc. Your text must use the correct terminology and abbreviations employed in your industry in the language spoken in your new market. Complementary information materials: website texts, multimedia presentations, informational video scripts, etc. Okomeds is your new professional partner, which will support you in your everyday work and provide you with specific answers to specific needs. Simple. No small print. Get more information now at www.okomeds.com. And remember: you handle heath care. 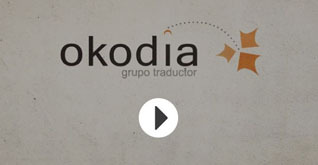 Okodia takes care of your words.